My bedroom. As it was a few months ago anyway. It was lovely. Light, bright, clean and simple. Good enough for a magazine shoot might I add… but it never really floated my boat. I’ve been itching to get this room more up my street for over a year now, but every time I even mentioned it to the OH, he would wince. a) It’s a big job to sell all that furniture b) and BLOODY expensive to replace it all. Wardrobes were always the sticking point. The ones I liked were always upwards of £600. And we needed two. So there’s £1200 straight away before i’ve even got all creative with my shizzle. During a quick evening session on Gumtree (am always on there hunting down furniture and decor finds for local pick up, don’t forget those 1930’s chest of drawers I picked up for £10), I came across a brand new in box, never built or even opened, LEDGER wardrobe from Made.com. RRP £600. It was on Gumtree for £300. And it was four miles down the road. Result! Needless to say, it was in the back of our car the next day. My OH looked a bit stressed. I was smiling. And so the ball was rolling. Time to sell on the trusty Ikea Hemnes furniture. You served us well, during your short stay with us, but it was time to move along. Facebook is great for spreading the selling word and within a week, friends ended up buying most of it. Hassle free. 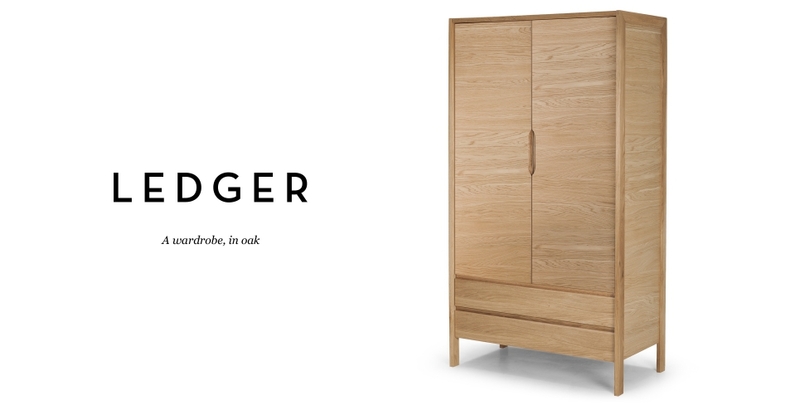 Just one wardrobe left to sell, which we will do when the second LEDGER wardrobe from Made.com arrives in the next couple of weeks. 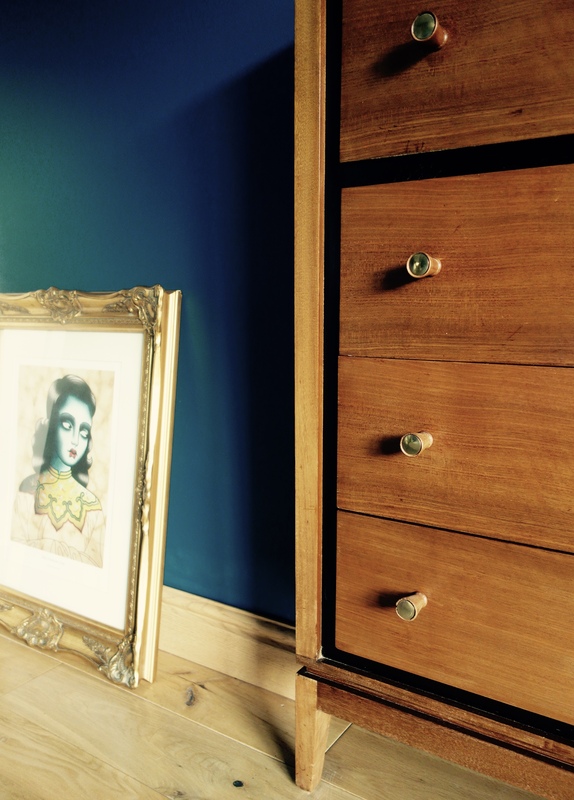 I wanted to mix old in with the new, so began sourcing mid century chests of drawers and bedside tables. I did not want everything to match, something I disliked about the previous bedroom. I wanted different toned woods, a dark wall colour, mis-matched bedside lighting and lots of metallic details. Oh and the artwork I wrote about in my last post. 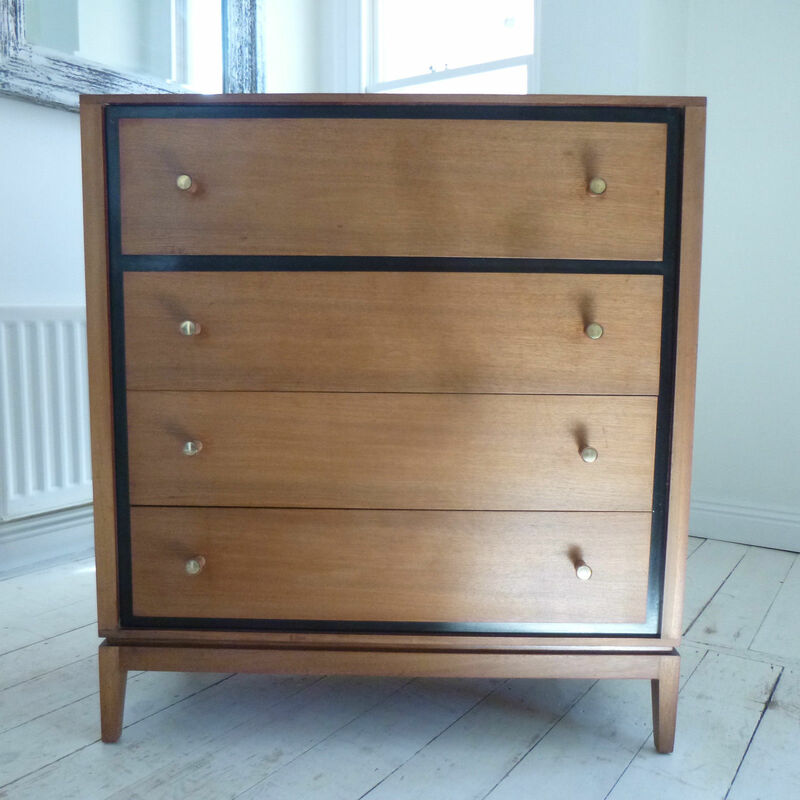 A mid century Walnut Chest of Drawers with ebonised detail and walnut and brass drawer pulls. 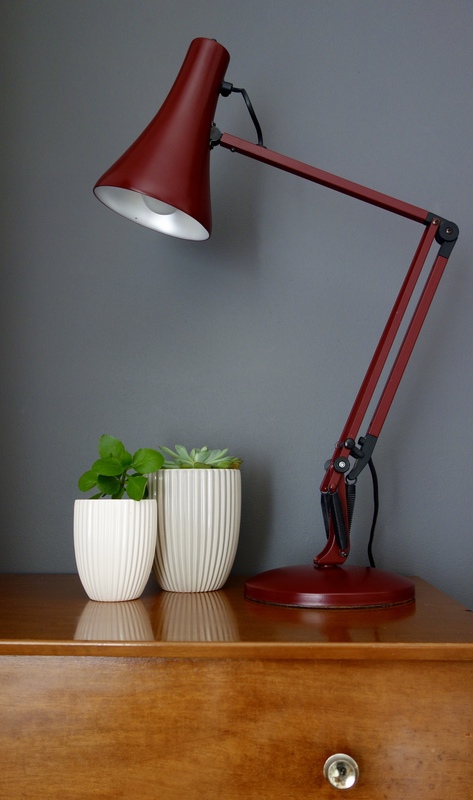 I found this on eBay being sold by a fantastic seller, olivemodern. They were a pleasure to buy from and worked with me to arrange a courier. I had my hands on them less than 24 hours after I won the auction. And they’re gorgeous. So glad I bagged these. A real feature piece for £120 plus £60 to get them moved 200 miles up the M1. 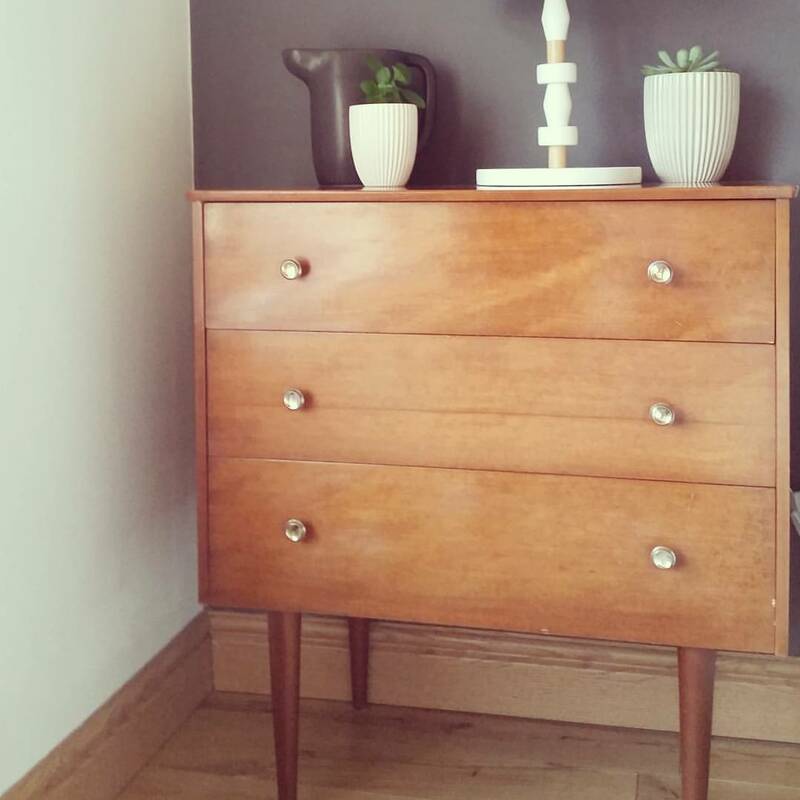 These little teak drawers with brass drawer pulls were picked up for £30 and will be used as my OH’s bedside table. He needed more storage and there was also unused space down that side of the room. These fitted perfectly. Weren’t too high for a bedside and look cute as a button. I won a comp ages ago with Nook London. 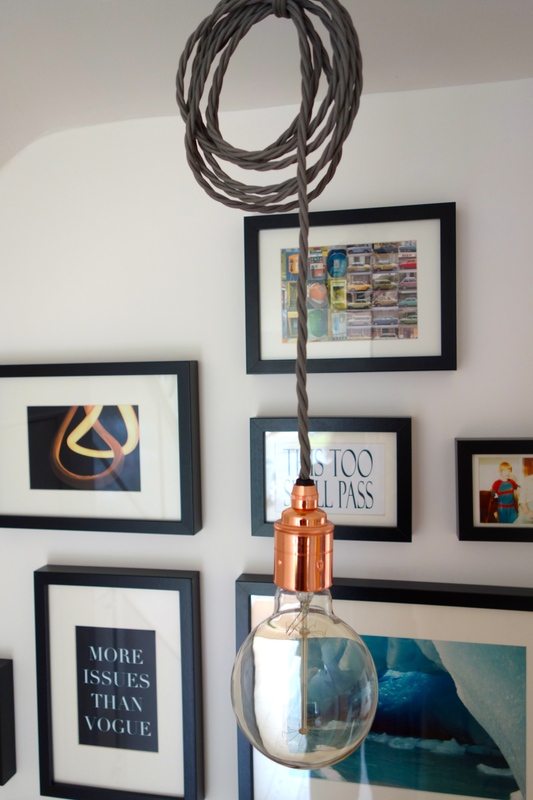 I love their stuff and already have their copper pendant lights fitted in our hallway. So when I had the choice of something from their new Reserve range I just knew where it would end up going. My side of the bed of course! And this is what’s coming home to mama. 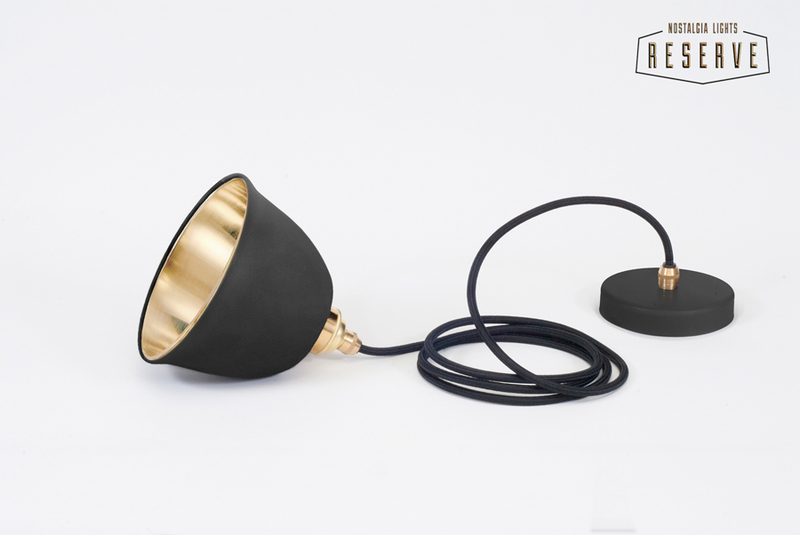 The most gorgeous miniature bell black and brass pendant light. I can’t wait for it to be fitted, so I can switch it on and off a little too often, like I do when I get a new lamp. Weird. 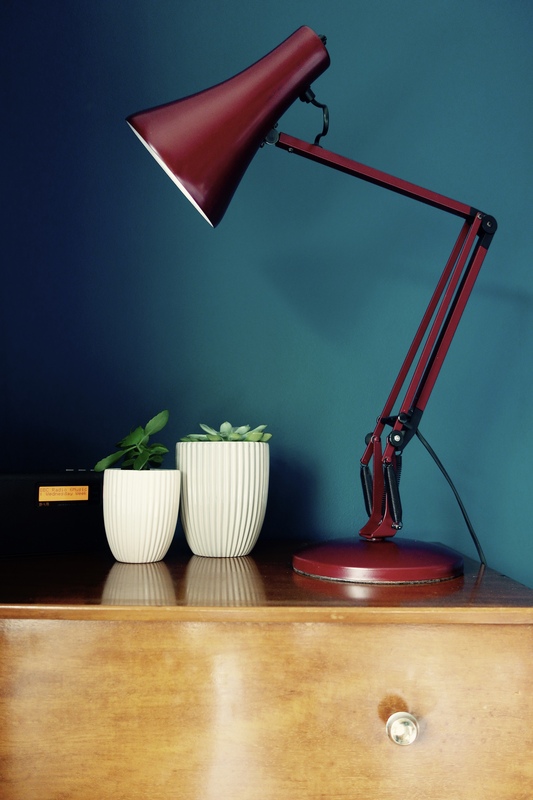 The burgundy Anglepoise now sits on the teak drawers as my OH’s bedside lamp. I bought this for £40 during my trip to the Vintage Home Show in Leeds a couple of weeks ago. The colour is stunning. Wait til you see it against the newly painted walls! So what about a bed?? I know. That’s a bit of a sore point. After being let down badly by Habitat **sigh**. Our previous Ikea bed was picked up two weeks ago, a few days before our Habitat delivery was due to be booked in. And then we had THE phone call to say that the bed we’d ordered was missing something integral so couldn’t be sold. It was also the last one in the country. So get another bed then! Well yeah, that’s easy for you to say, with your UK sized bed frames. But Ikea and Habitat have well and truly shafted us EU bed-framers. Hell yeah they have! Habitat have just stopped doing EU bed frames, apart from upholstered ones, which I didn’t want. What with a toddler fond of jam and a cat fond of a nice tight weave to get her claws into. Ikea have more than halved their EU sized range of bed frames and i’m not impressed with their bedroom furniture tbh. I think that’s one area where they aren’t making design led furniture. It’s a bit meh for me. That and our previous Ikea bed frame was gak. A noisy, creaky nightmare bed, which to be fair Ikea refunded in full after it was deemed faulty and collected. So we are now currently sleeping on the floor and looked to be building our own bed. Yes, we started drawing plans up and everything and were going to have a bed made because, **cups hands around mouth** NOBODY SELLS EUROPEAN SIZED BED FRAMES ANYMORE!! Sort it out UK furniture market. Just about when we were going to order the parts for our homemade bed, I came across Maisons Du Monde. I saw a bed. I loved the bed. I was in a restaurant at the time (always working) and made a little bit too much whooping noise than maybe I should have. 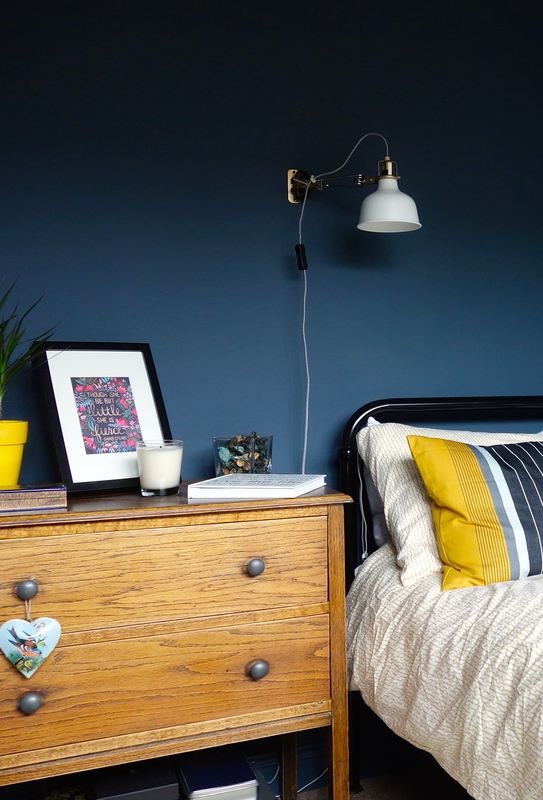 I’d never heard of Maisons Du Monde, but they ship to the UK, the bed was the right size and it was bloomin perfect for my mid-century mash up. And they had a gorgeous little bedside table that would be perfect for my side of the bed. Boom! Nice init? And the bedside is great too. I wanted something on legs and with a drawer. I needed somewhere to store copious earplugs, tissues, painkillers and Valspar colour chips. They’re everywhere. It won’t be with us until December, which means we’re sleeping on the floor like a couple of bohemians for the next 6 weeks. I’m a bit nervous about getting furniture shipped from France by a company I don’t know anything about, but I really hope it’s as good as it looks in the pics! And that’s the bedroom saga. So far. The wall colour is going on nicely and i’ve managed to do some jiggery pokery with my photo editing so I can show you the actual colour this time. It seems I have selected a colour that a camera cannot detect. Arse. That teal colour is RIGHT up my street! 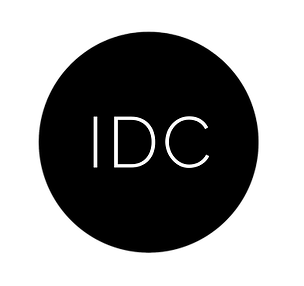 It looks incredible. It all looks fab! I can echo Kimberley’s comment about being able to start afresh and am somewhat envious of your OH’s eventual agreement to it all. I’m a big fan of buying on eBay and it looks you found some perfect pieces. 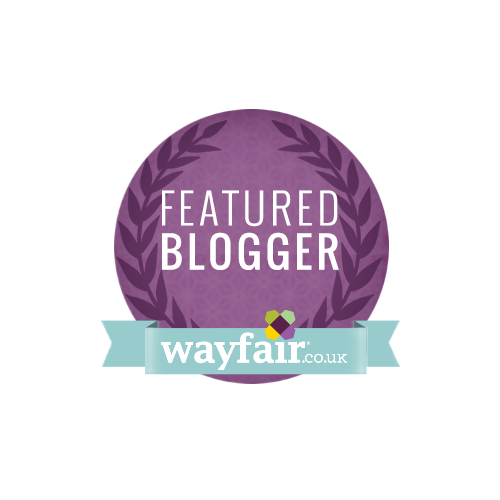 wow – some great finds! I can’t wait to see it done. 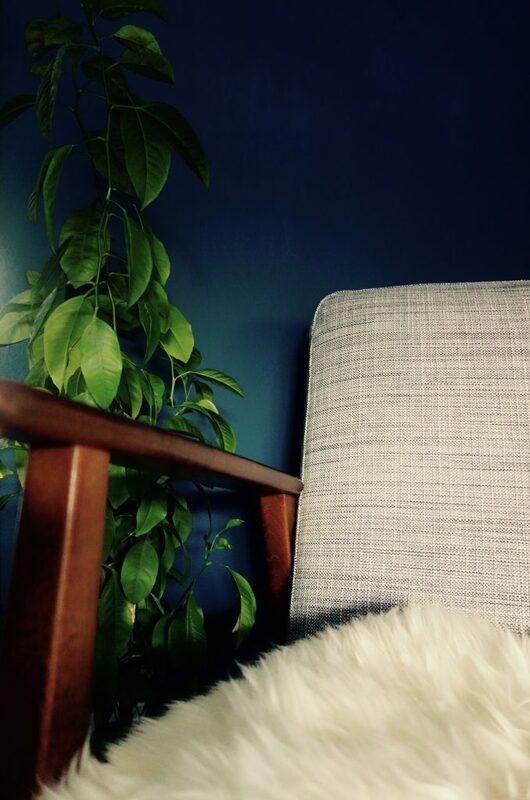 As for the ceiling – I think it will feel cozy and cave-like (in a good way) if you go for it and paint it. And if I am wrong or you don’t like it – it is just paint and can be changed out, right? Hmmm, I guess I would paint everything before I put the furniture in, if I could. 🙂 In our upstairs we have low ceilings, and I painted them the same as the walls. The colors are lighter, but the effect is big – no strong line of difference between ceiling and wall. I think with a dark color it would draw everything in – in a bedroom, that can be a good thing, right? Amazing blog post. Love the blue walls. Im so going to revisit this to see the end result – love the lighting!